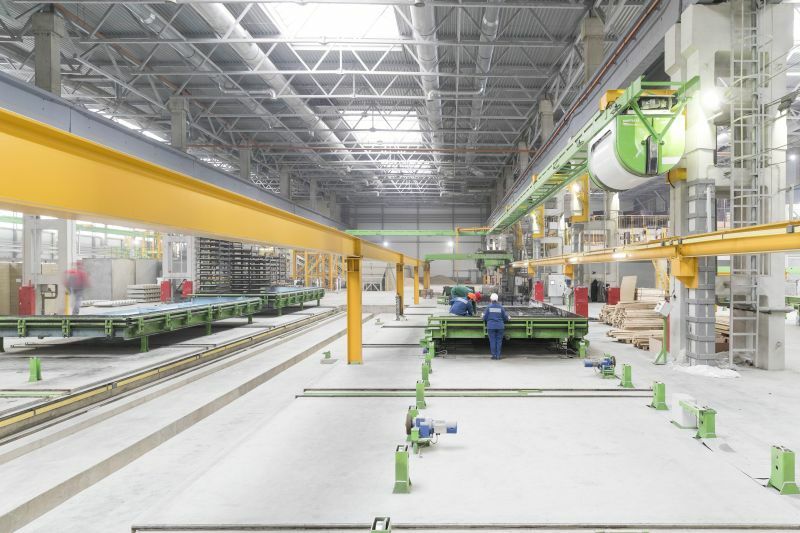 The benefits of precast technologies in improving building project development flow and efficiencies might see increased precast production plant operations in future. Elematic, a Finnish supplier of precast concrete production technologies with expertise in precast wall plant development and design, offers some guidance. Establishing the square metres of wall panels to be produced per annum assists in determining the size of the precast plant and the number of casting tables needed. The layout of the precast wall production plant can be designed for increased capacity in the initial design process. With multiple options of precast wall production, consideration to the type, size and surface of the panel to be produced is important in the layout of the plant as the production ratio impacts upon the circulation speed of a table. The speed also depends on the surface material used, and whether or not the panels are insulated. The more complex the panel, the longer the table set-up will be. Surface materials such as brick, natural stone, exposed aggregate, coloured concrete, plaster and graphic concrete are finalised at different stages of production, and therefore sufficient room is required for working stations at correct intervals. If special aggregates and colours are being used, a separate concrete distribution system needs to be included in the layout. Details of any existing production halls should be made available to the plant supplier. The size and shape of the hall will impact the production line design, because the space determines the possibilities for the arrangement of the tables and other equipment needed. Similarly, if building the factory is on a green-field basis, a land map with all measurements and restrictions is needed. Elematic’s production technology covers the entire range of precast walls that can be produced in three production line packages: SEMI, PRO and EDGE. • SEMI Wall is ideal for a precast production solution in the annual capacity range of 70 000 to 150 000m²; and only a few predefined products are required. • If different and large-volume types of precast products will be produced in the annual range of 170 000 to 300 000m², the PRO production line and equipment are most suited. All PRO key functions are automated. • The EDGE option caters for an annual capacity range of 400 000 to 750 000m², covering a wide product range. It consists of a circulating wall line with optional battery moulds and tilting tables. The tables move automatically between the production steps for high productivity. Logistics are solved with a central transfer wagon that provides a smooth traffic and productivity flow. For more information, send an e-mail to nina.lehtonen@elematic.com or visit www.elematic.com. An Elematic EDGE Wall production line.